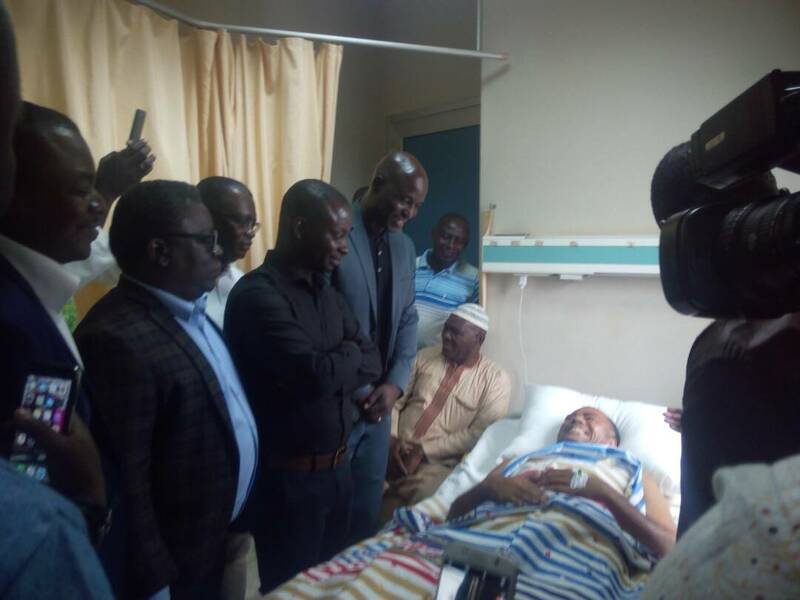 Top ranking members of the Professional Footballers Association of Ghana have paid a visit to the injured members of the Asante Kotoko team that were involved in Wednesday night’s unfortunate accident on the Nkawkaw road. The PFAG officials, led by General Secretary Anthony Baffoe, were joined by Managing Director Faris Atriki and his colleagues from the State Insurance Company at the Komfo Anokye Teaching Hospital on Friday afternoon. The PFAG team was again present to show solidarity with the affected players on Saturday morning at the Stadium Clinic. Also in attendance to wish the injured team members a speedy recovery were Prince Polley, Sampson Appiah, Solomon Torson, Thomas Duah, Yusuf Chibsah, as well as a number of coaches and former players. The delegation moved from bed to bed, and interacted with the Kotoko team members as well as the team of medical professionals caring for them; and expressed their hope for a rapid and complete recovery. Mr. Baffoe reaffirmed the Association’s support and commitment to ensuring that the victims recovered fully. He stressed that the PFAG will continue to stand with the team throughout this unfortunate ordeal. The PFAG officials also followed up with a visit to the Stadium Clinic on Saturday morning. Accompanied by the SWAG President, Mr. Kwabena Yeboah, the team was on hand as members of both the playing and technical team came in for their scheduled medical reviews.